Are you thinking about visiting scenic Lancaster County? Do you enjoy unique and authentic arts & crafts designed with care by Amish artists? How about the delicious foods created with love by Pennsylvania Dutch chefs? Or, are you simply interested in learning more about the fascinating history and culture of the Amish and Mennonite communities? Lancaster County is a beautiful region rich in cultural history. We have created this site to share with you some of the special pleasures that are in store for you when you visit this truly one-of-a-kind destination. Whether you are planning a weekend excursion or choose to stay longer, there are countless opportunities to create warm memories that will stay with you and your family for years to come. Most people think of the Amish and Mennonite communities when they think of Lancaster County. 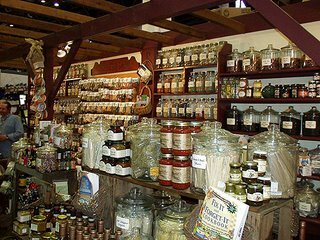 And, while it is true that the Amish and Mennonite culture will play a large part during your stay, the more you visit, the more you will discover that there is truly a vast variety of things to see and do in Lancaster, PA. If you wish, your family can take a leisurely ride back in time as you tour old-fashioned villages in an authentic horse-and-buggy. Or, you can simply wander at your own pace along the winding, cobblestone streets where you can watch craftsmen create the top quality goods that they are famous for around the world. Take a drive along the picturesque, rolling hills and take a tour of a genuine Amish farm, school house and restored home. Although the Amish and Mennonite people are very private and should be respected, you will have many opportunities to experience their way of life which is refreshing in both its simplicity and sincerity. At any rate you won't want to pass up the chance to sample the fresh and wholesome cuisine of the Pennsylvania Dutch. Dine at one of the many smorgasbord, all-you-can-eat restaurants where you can sample everything from apple fritters to shoofly pie --- all at a very reasonable price. You can even take a rest from your sightseeing at one of the many charming sidewalk cafes where you can enjoy a freshly-made soft pretzel or some delicious home-made chocolate. However, you'll soon discover that there is more to Lancaster County than quaint towns and Amish influences. The region is also full of sophisticated pursuits as well. 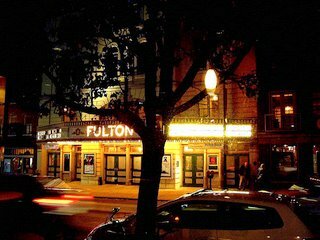 Visit the theater where you can enjoy one of the critically acclaimed plays, concerts, and operas at a fraction of the price that it would cost in a larger city. Dine at five-star restaurants, pamper yourself at a spa, or visit the numerous museums. You will never run out of things to do. Oh, don't forget to indulge yourself by shopping at one of the outlet stores where you will be able to purchase top-of-the-line designer brands at bargain prices. Do you prefer outdoor adventures? You're in luck. 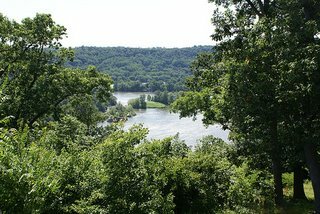 Take your family canoing or kayaking down the Susquehanna River or enjoy a hike where you will marvel at the region's spectacular scenery and majestic wild life. Feel like taking a little excursion? Your kids will have a blast at Hershey Park or Dutch Wonderland Amusement park. Treat yourself and play a round or two of golf at one of the first-class resorts in the area. Take a tour of one of the many small wineries or breweries where you can watch how the local beverages are made. At any rate, once you've visited, you'll want to return to Lancaster County again and again. So, we hope you enjoy this site. It is designed to provide you with the most valuable tips, advice, and up-to-date information so that you can best plan and organize your stay as well as save money. We also hope to provide you with a background of the rich, cultural history of the people and towns of Lancaster County so you can better appreciate this wonderful and special region. Some places in Pennsylvania Dutch Country are hard to find if you are unfamiliar with the area. Consult our Lancaster County map so you save time and don't get lost. There is really no best time on when to come to Lancaster County. Each month of the year offers distinct pleasures to the visitor. Visit an Amish farm, ride on a horse-and-buggy, shop for Pennsyvania Dutch folk art, hike along scenic wonders or tour a Pennsyvania winery. There are plenty of things to do in Lancaster County! Marietta has the look of an 18th Century town with a modern offbeat atmosphere comprised of art galleries, antique stores and coffee shops. Nestled amongst beautiful Amish farmland, Strasburg is a good place to go if you want to sample Amish food, purchase arts & crafts, or tak a horse-drawn buggy ride. There truly is something for everyone when it comes to Lancaster County shopping. 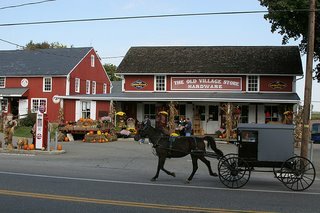 Find out where to find the best country shops, Amish stores, auctions, outlets, antique stores and more. Lancaster County museums will fascinate you with colorful stories of religious freedom, 19th Century railroad travel, early American farm life, and the intricate work of the region's artists. Discover the rich and colorful Pennsylvania Dutch folk art traditions that are still vibrant in Lancaster County. A visit to Lancaster County is not complete until you have sampled Pennsylvania Dutch cooking based on old Amish recipes. Take a wine-sampling tour at the Lancaster vineyards and wineries and taste some of the finest wines produced in scenic Pennsyvania. A notice about advertisers on this site. Rest assured that the actual content on sponsored pages are independent of any sponsorship or affiliate relationship. 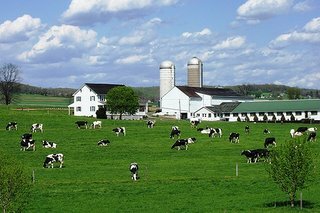 This sitemap dislays links to many pages of Welcome-to-lancaster-county.com so you can quickly and conveniently learn about this famous county of Pennsylvania Dutch country.